First Encounters Gift Certificates: The Perfect Valentine's Day Present! 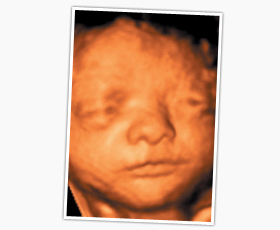 Call 02920 732671 now to order your 3D/4D ultrasound gift certificate! Valentine’s Day (14 February) is only a couple of weeks away, so if you’re planning to get your other half a present, now’s the time to start thinking about what you’re going to buy! Of course, many people will settle for flowers and chocolates this February, but these gifts make for a rather clichéd Valentine’s Day surprise – as much as everyone enjoys a nice Milk Tray, it’s hardly the most personal present! If you and your partner are expecting a child, a 3D/4D ultrasound gift certificate from First Encounters could well be the perfect present for Valentine's Day 2016. A gift certificate entitles you and your partner to enjoy a 3D/4D baby scan experience at your nearest First Encounters clinic (click here for a list of locations) - not only will you get to meet your unborn child in high-quality 4D motion, you'll also get a selection of souvenirs to take home and keep forever. We have limited slots available, so don't delay - get in touch now to get your First Encounters gift certificate in time for Valentine's Day! "Really amazing experience, lovely place and staff, thank you"
"Brilliant! 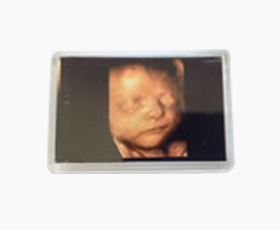 Will be coming back again"
"Very friendly and helpful staff, great experience"
Please click here to browse the full range of ultrasound scan packages we offer.